A couple years ago when visiting the National Farm Toy show I heard about this German restaurant set in a spot in the road called Balltown. Located between Dyersville and Dubuque, Iowa, with Garmin in hand we set out to give it a try. The roads to this German-style restaurant are touted as the oldest food and drinking establishment in Iowa was high on a hill. 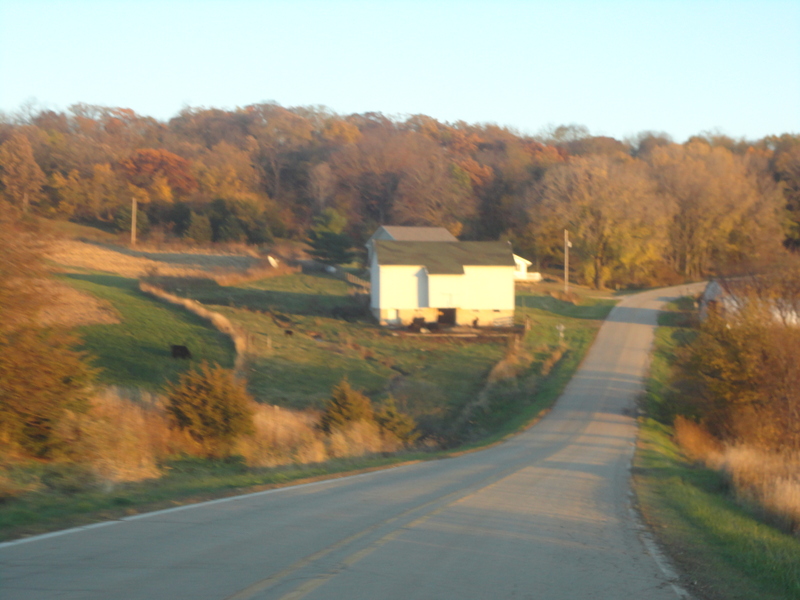 As we headed off the main roads, we wound up and around and vistas I had no idea were in Iowa opened up below us like a brightly colored quilt. The Breitbach restaurant opened in 1852 by federal permit issued from President Millard Fillmore. The restaurant was opened by Jacob Breitbach, Great-Great Grandfather of the present owner. Jacob worked for the original owner and purchased the tavern in 1862. Ever since, this has been a family business and the current owners are the sixth generation. The original building was devastated twice when the Breitbach suffered from two devastating fires. The Breitbach family rebuilt both times and although not the original building, it is built on the foundation and the building is filled with old country charm and is decorated in turn of the century furniture, magnificent handmade quilts, and country crafts. Breitbach’s makes everything fresh from scratch and they are the undisputed winner of Iowa Pork Producers best breaded Pork Tenderloin 2012. I love the food and the view and this year we celebrated my birthday in style with the dinner ending with a snicker pie! Previous Post: The Decker Hotel a luncheon discovery!